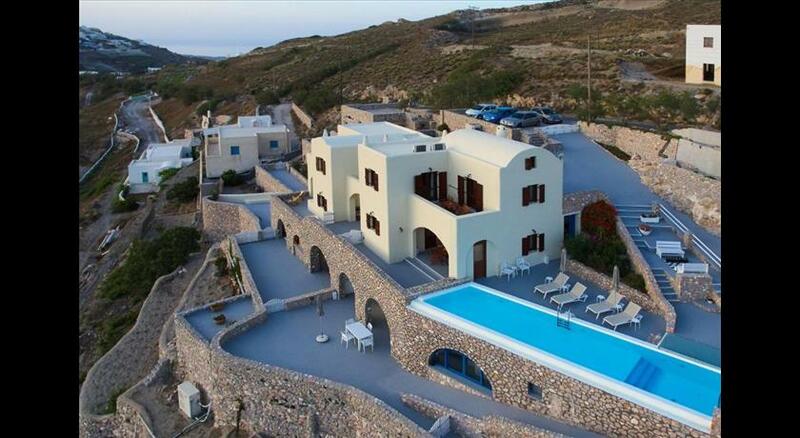 Located at the top of Pyrgos medieval castle, Azalea Houses Skyline villa presents incredible panoramic views of the whole island and unique sunsets from your private terrace. This 18th-century elegantly decorated villa is equiped with a double bed and a sofa bed which make it perfect for a couple in romantic holidays. The villa was a traditional local house recently renovated again with respect of the old architecture style, loved by architects and photographers. In renovation work, particularly care has been taken to preserve the local traditional style. The carefully selected furnishings complement the decor of this old style villa. 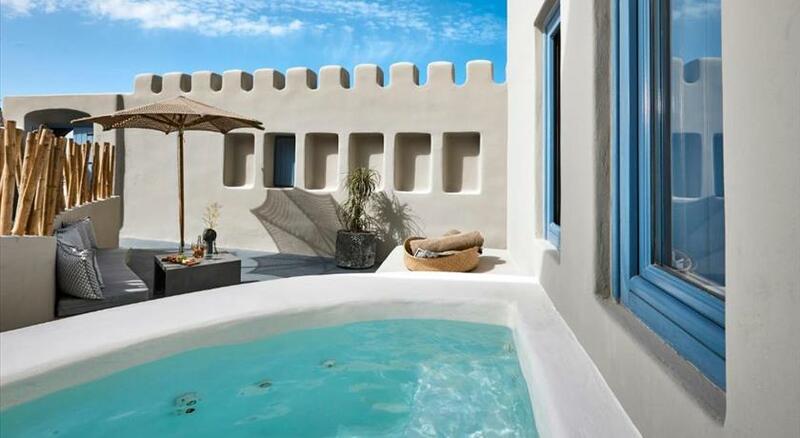 Located at the top of the medieval castle of Pyrgos and overlooking Santorini Island, this villa features a sun terrace with scenic sunset views. 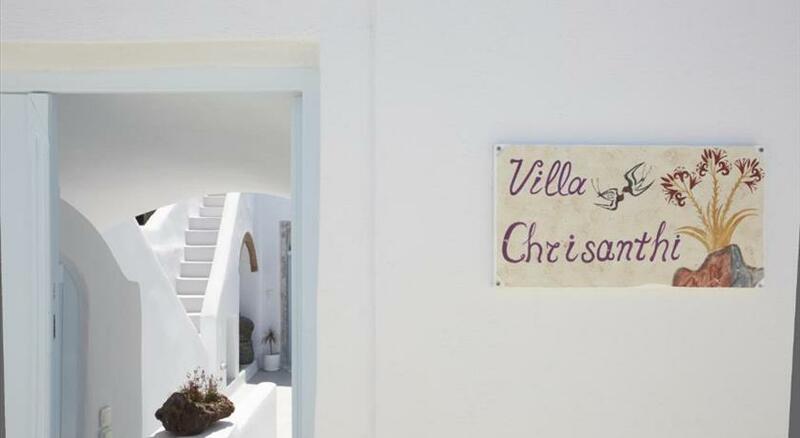 This 18th-century elegantly decorated villa is also equipped with air conditioning and free WiFi. The kitchenette has an oven, a toaster and a refrigerator, as well as a coffee machine. A flat-screen TV is featured. There is a private bathroom with a bath or shower. 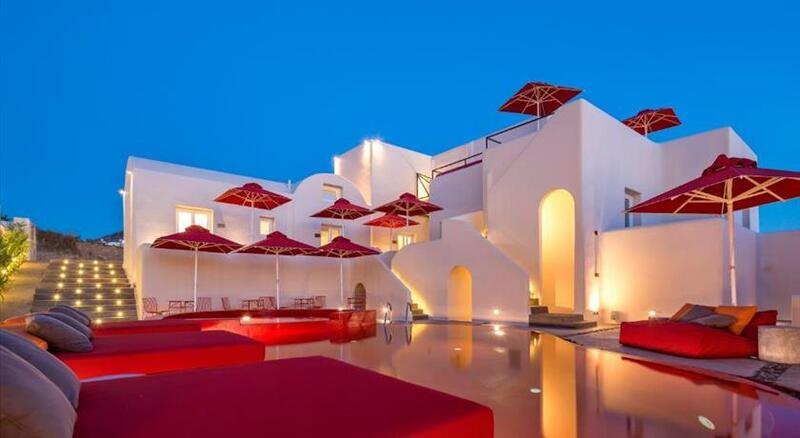 The cosmopolitan Fira, capital of Santorini , lies within 5 km of the property. Santorini (Thira) Airport is 3 km away. Please inform Azalea Houses - Skyline Villa in advance of your expected arrival time. You can use the Special Requests box when booking, or contact the property directly with the contact details provided in your confirmation.